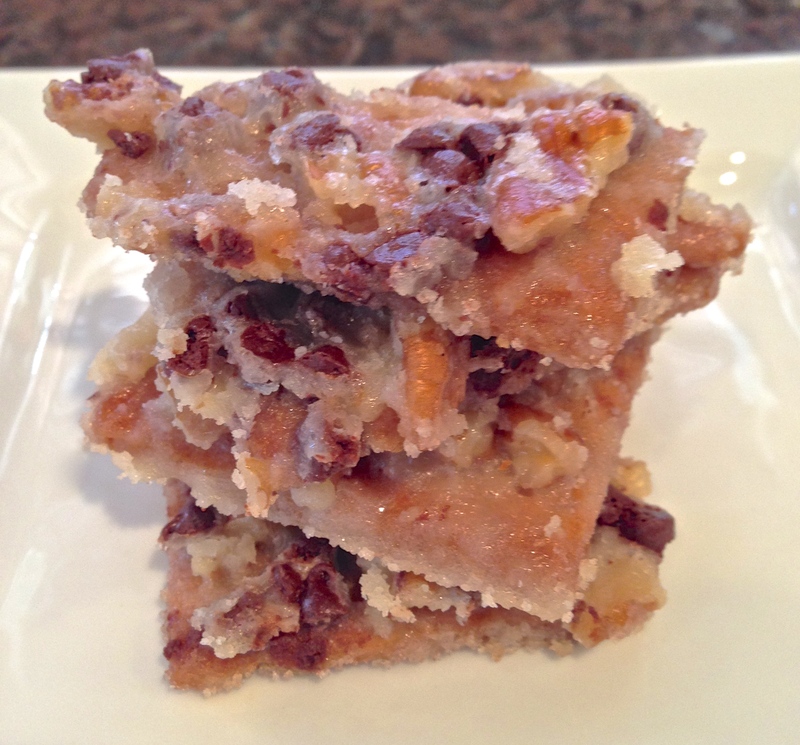 Who doesn’t love an easy recipe? 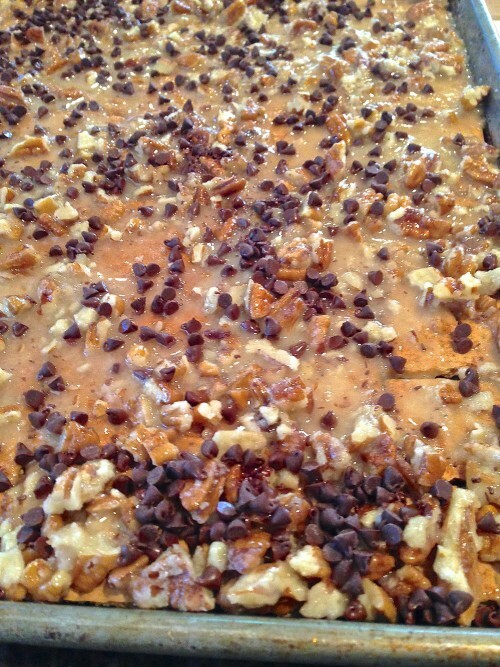 If you are having a sweet craving or if you need something easy to take to a gathering considering making this. 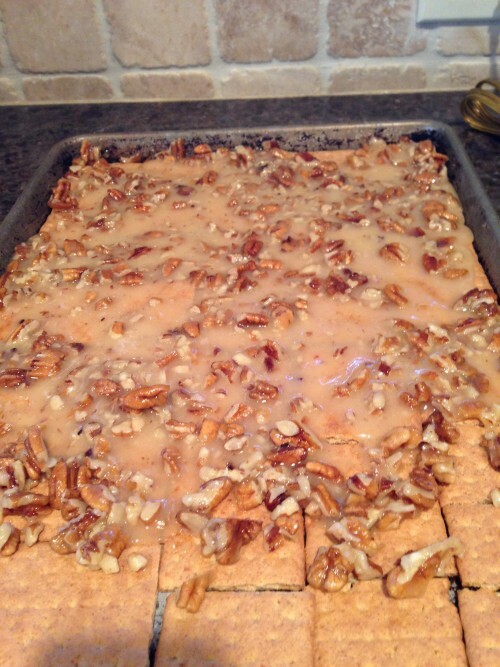 After making this you may want to keep some graham crackers on hand for that last minute dessert that literaterly takes minutes to make. Graham crackers and chocolate always remind me of s’mores so when I found these two ingredients in my pantry and I needed something sweet for a group I started with “Google” (where else would we start). There are always pounds of pecans in my freezer so I knew I had the ingredients to make the recipe I found. BLAST FROM THE PAST: Honey Pecan Stuffed Snow Peas never fail to delight those brave enough to pick one (or two) up and put them on their plates. 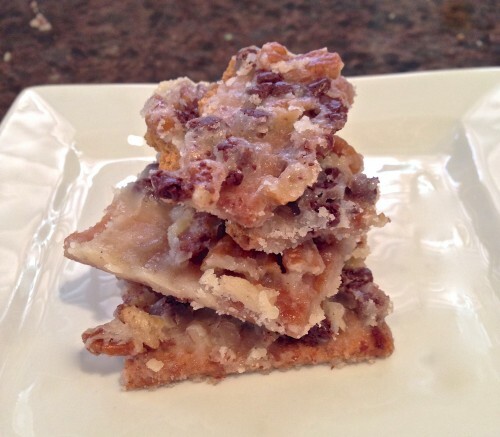 The last time I looked at this recipe it had 2,180 views. Now it’s up to 4,656 — like I always say “someone out there is looking”. Fit your graham crackers into a rimmed pan. (The recipe called for 12 crackers. I did not notice that until I finished the recipe. 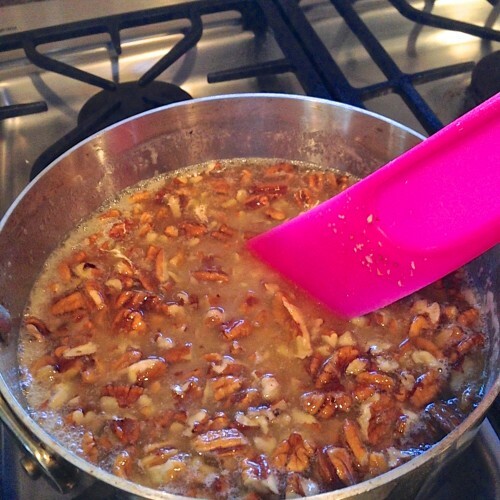 Cook the sugar, butter and pecans. Pour the mixture over the graham crackers. Then bake in oven. After removing from oven I sprinkled with some mini chocolate chips and let the heat from the toffee melt the chips. Break into pieces and put on rack to cool. Preheat oven to 325°. 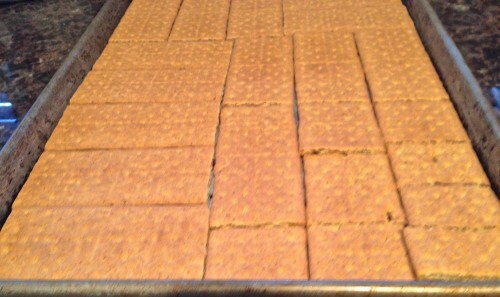 Lay your graham crackers tightly across the area of a lightly greased rimmed baking sheet. 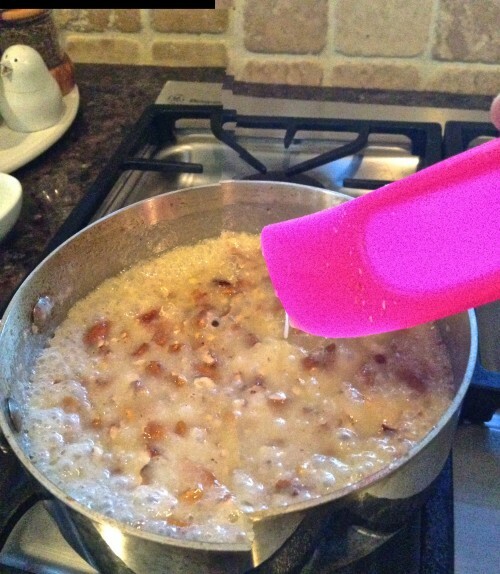 Trim any crackers to fit the sides of the pan if needed. Set aside. In a large saucepan, bring the butter, sugar and pecans to a boil over medium heat for 3 minutes, stirring constantly. Carefully (and evenly) pour boiled mixture over the entire pan of graham crackers, spreading pecans around evenly. Immediately pop the pan into the oven and bake for 8 minutes. 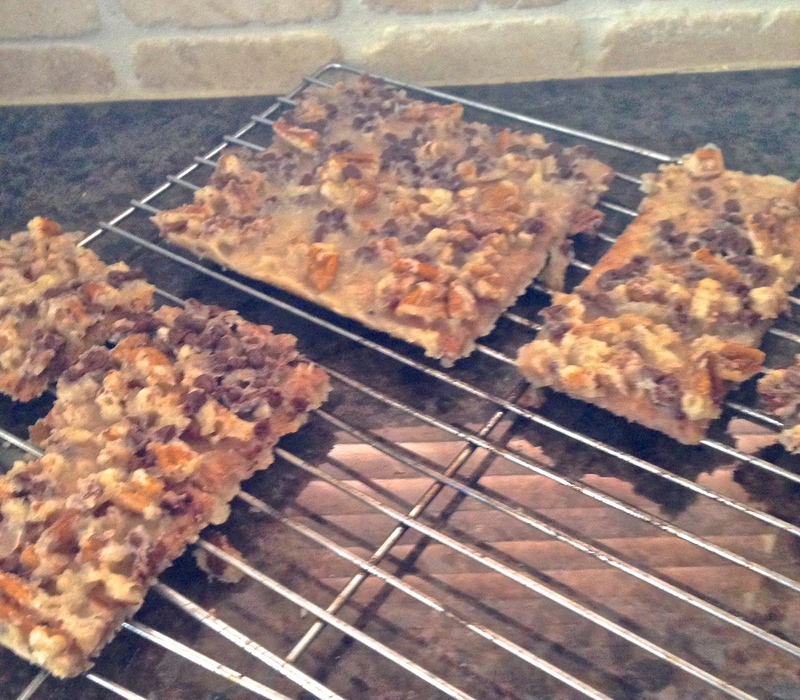 Allow graham cracker bark to cool completely before breaking into pieces and storing airtight. Take a look at Domestic Rebel’s bark and see how much darker her’s is than mine. I will have to email her after this is posted to see why mine does not look like hers.